Local energy enterprises can be set up by volunteers, local councils or housing associations to serve their locality. Community energy enterprises have also been set up to serve a specific charitable purpose or organisation. CfR helps local energy enterprises to develop, finance and manage renewable energy generation projects that are owned by and run for the benefit of the local community. 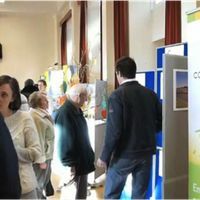 CfR also provides strategic advice to help develop and implement a wide range of local energy business models that help reduce, stabilise and localise energy spend and earn income to re-invest in the local community.